One of baseball's most entertaining ambassadors, Joe Garagiola, a longtime SABR member, died at the age of 90 on March 23, 2016. Garagiola was a fixture on national television for nearly a half-century after his major-league playing career ended, and his witty, engaging style as a baseball broadcaster made him one of the most recognized and beloved figures in the game. He was honored with the Ford C. Frick Award in 1991 for his excellence as a broadcaster and received the Baseball Hall of Fame's Buck O'Neil Lifetime Achievement Award in 2014 for his service to the national pastime. A lifelong friend of Yogi Berra — they grew up on the same street together in "The Hill" section of St. Louis — Garagiola did as much as anyone to popularize his friend's iconic "Yogisms" (although, as Berra said, "I really didn't say everything I said.") Garagiola's influence was also felt off the field; he helped found the Baseball Assistance Team to help former players in need and worked tirelessly to help eradicate the use of smokeless tobacco in baseball. Garagiola spent nine mostly mediocre seasons as a catcher in the majors, batting .257 with the St. Louis Cardinals, Pittsburgh Pirates, Chicago Cubs, and New York Giants, but he gained a lifetime of stories that he often told in self-deprecating fashion on the air. He was signed by his hometown Cardinals at age 16 and made his major-league debut at 20 in 1946, helping lead St. Louis to a World Series championship as a rookie. He began his broadcasting career in 1955 with the Cardinals on KMOX radio and spent parts of three seasons as a New York Yankees broadcaster before he was hired by NBC, which featured him on its "Game of the Week" broadcasts. 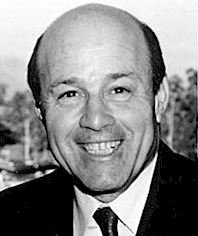 Garagiola called three World Series, three NL Championship Series, and three All-Star Games for NBC, working with the likes of Vin Scully, Tony Kubek, Curt Gowdy, and other legends in the field. In recent years, Garagiola's familiar voice could be heard on the air with the Arizona Diamondbacks. As an announcer, game-show host, and best-selling author of three books, Garagiola's fame transcended the game. He filled in for Johnny Carson on "The Tonight Show," co-hosted the "Today" show for several years, and befriended President Gerald Ford during his re-election campaign in 1976. He made stories the stars of what he shared. His commentary rarely was judgmental; neither he nor his contemporaries questioned execution of a play or managers' decisions. Instead, his audiences were regaled with tales of [Earl] Weaver's antics, [Bill] Veeck's wooden-leg ashtray, [Tommy] Lasorda's waistline, Casey [Stengel's] lingo, [Oscar] Gamble's afro, clubhouse shenanigans and, of course, anything involving his childhood chum [Yogi Berra]. Garagiola was drawn to the game's characters and sought out their stories. No one had more stories — or funnier ones — than Joe Garagiola. This page was last updated April 1, 2016 at 12:53 pm MST.